MANY couples – from both the UK and abroad – choose Grasmere Gingerbread favours because they associate our unique spicy-sweet chewy delicacy with romantic holidays in the Lake District, exciting wedding proposals during weekend getaways or long-cherished memories of family days out in this beautiful corner of Britain. 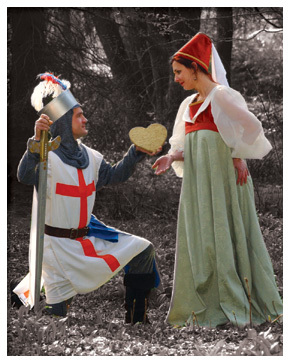 They also evoke the provenance of the very first gingerbread favours, given to knights by admiring maidens at jousting fairs, whilst warming ginger spice has a deep-rooted historical association with romance and powerful intoxicating love. 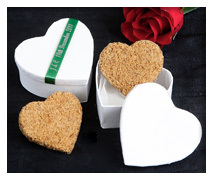 Down the centuries wedding favours have been symbols of love, happiness, health and wealth for bridal couples whilst ginger has long been associated with passion and fertility. 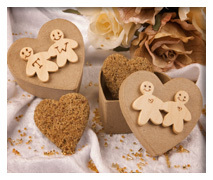 The Grasmere Gingerbread Shop combined these two parallel traditions to create a unique range of beautiful but affordable Grasmere Gingerbread wedding favours which add a delightful finishing touch to a modern-day wedding. 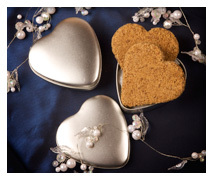 Made from traditional or heart-shaped pieces of world-famous Grasmere Gingerbread, our wedding favours are presented in a variety of beautiful boxes, tins and pouches. 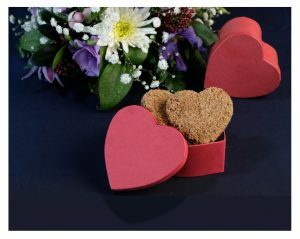 These may be further personalised with names, love quotations from literature or special messages in complementary calligraphy and coloured ribbon. 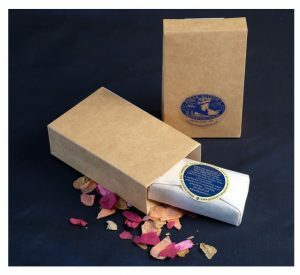 No two wedding favour orders are ever alike and we can accommodate small intimate weddings for just family and a few close friends through to larger receptions with hundreds of guests. 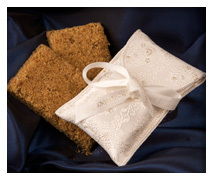 Whichever ceremony and celebration you choose to celebrate your marriage, Grasmere Gingerbread wedding favours will add that very extra special touch and will certainly be a talking point. 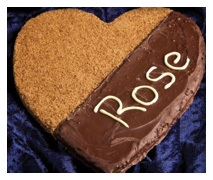 Due to the aphrodisiacal reputation of ginger, many couples who served Grasmere Gingerbread favours at their wedding return again to serve them as favours at the christening services of their babies. And due to ginger’s reputation for fertility, they are especially appropriate at these tender family gatherings. Centuries ago wealthy European aristocrats honoured wedding guests with small trinket boxes known as bonbonnieres. Made from crystal, porcelain, silver and gold, and filled with precious sugar confectionery, these were believed to pass on good fortune to recipients. However, as sugar was expensive, most marrying couples handed out ribbon and lace love knots or embroidered linen bags filled with five plain almonds representing health, wealth, happiness, fertility & longevity. Later, as sugar became more affordable, almonds were coated with a sweet paste and actually known as confetti. Gradually, sugared almonds evolved into the coloured, hard candy shelled confections we know today; the ubiquitous wedding favour. 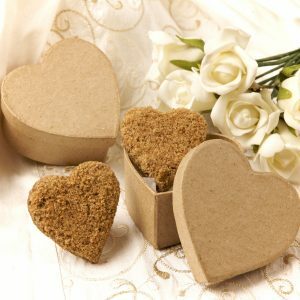 Grasmere Gingerbread wedding favours combine medieval tradition with ancient mysticism to create unique wedding favours that your guests will remember for years to come. 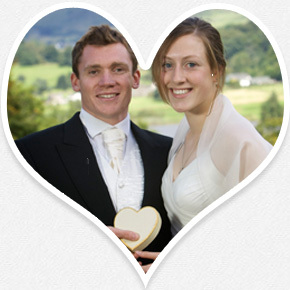 If you would like more information on Grasmere Gingerbread Wedding Favours, please complete this form and we will get back to you. 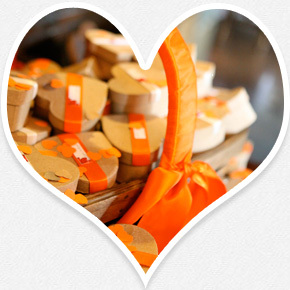 "We would like to say a huge thank you for our wonderful wedding favours. They were just perfect and went down really well with our guests. The calligraphy on the boxes was excellent. 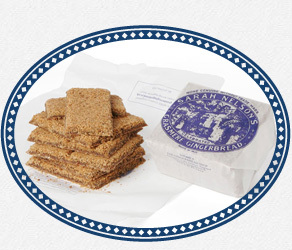 We first tasted your delicious gingerbread whilst staying near Lake Windermere a few years ago and really loved it. 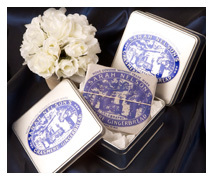 We were delighted to find we could share it with our family and friends as wedding favours. I (Tori) am almost addicted to gingerbread and yours is definitely the BEST ever tasted. 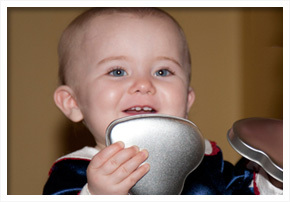 Thank you for your brilliant care and attention to every detail." "Thank you for supplying the favours for our wedding day. We received nothing but praise for them and were very impressed by their taste, freshness and presentation. You answered all our queries in a friendly and approachable manner; nothing was too much to ask. In fact, your service was flawless and we would recommend you to anyone who is planning a wedding." 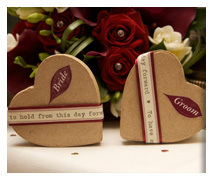 "I would like to say a long overdue thank you for the fantastic job you did with our wedding favours. They were absolutely delicious and our guests loved them!! 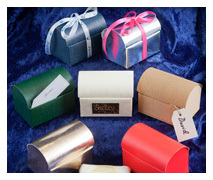 The ribbon around the box was a perfect match to our colour theme and they looked amazing. 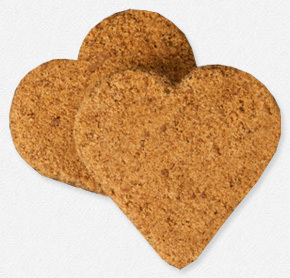 I would recommend your gingerbread and fantastic service to everyone." "I would really like to thank you for the lovely wedding favours; they were beautifully packaged and delicious (of course). All the guests remarked how good the gingerbread tasted and added what a relief it was not to be given the ubiquitous sugared almonds! We spend a lot of time walking and climbing around Grasmere and the Lakes and it meant a lot to us to have something from the area. We were particularly touched by the lovely card and greetings from you all. The wedding went off without a hitch, we were lucky with the weather and it was a glorious day. Once again, thanks for your wonderful service." "We wanted to thank you for the wedding favours you supplied to us; as promised they arrived in pristine condition. The white heart-shaped boxes fitted in perfectly with the colour scheme and they looked lovely on the tables. They were popular with the guests and none left over! 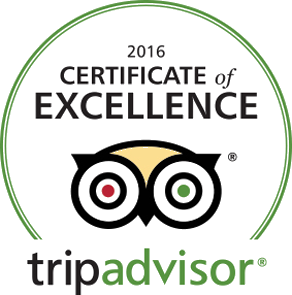 We would definitely recommend them to other couples who are looking for something a little bit different or as a reminder of the Lake District, both reasons for why we chose them." "We just wanted to say that our wedding favours went down a storm; everybody loved them and commented on how wonderful they were. We gave personalised Seville orange and ginger marmalade pots or a beautiful Sarah Nelson box of gingerbread to all our guests. 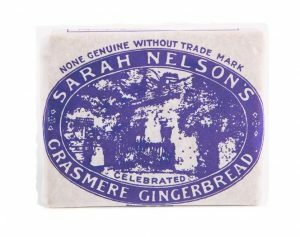 I know for a fact that a few of our guests headed across to Grasmere in the early morning before our group walk on the Sunday just to grab some of your gingerbread! They really worked perfectly – thank you." £1.50 Each. No minimum order*. Various colours available, includes 2 pieces. From £2.95 per unit. No minimum order*. Natural Brown free-standing box bag includes: 2 Pieces. £2 per unit. No minimum order*. 2 hearts (2 inches). £2 per unit. Minimum order = 50. 2 hearts (2.5 inches). £2.20 per unit. Minimum order = 50. Personalised ribbon option, includes 2 pieces. £3 per unit, £3.50 in silk. No minimum order*. 2 hearts (3 inches). £3.50 per unit. Minimum order = 30. 2 hearts (2 inches). £3.75 per unit, £3.95 personalised by initials. Minimum order = 50. Made to order – various colours and finishes available on request. 2 hearts (2.5 inch or 4 inch). Price on request. Minimum order = 50. Our in-house personalised ribbons add personal touches to your carefully chosen wedding favours. 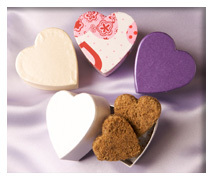 Create special messages for guests or include the date and venue for a charming keepsake. *On these options there is an additional £10 surcharge due to no minimum order stipulation. Note: if you require less than the minimum order stated on any of the other options this can be arranged. Please call the shop for further information. We also offer a range of selections for Corporate Gifts, click to see more.